Alessandro Piangiamore (b. 1976, lives and works in Rome) develops a body of work where the perceptible and the mind constantly intertwine, in a constant tension where the uncertain and the imaginary play a sometimes essential role. Whether with composite images made from old postcards and coral, sculptures shaped by the wind or panels made from melted candles, he breaks the rules of artistic production to add a conceptual yet poetic layer. 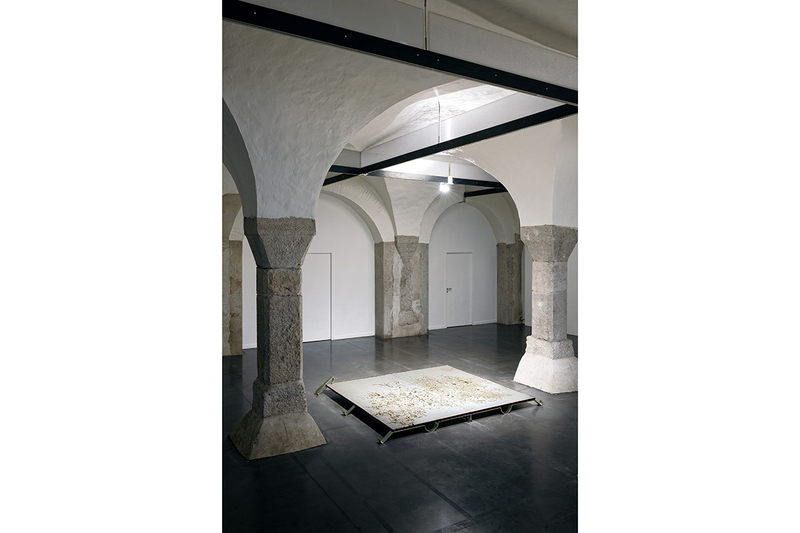 This exhibition unfolds in two venues: at Espace arts plastiques Madeleine-Lambert (Vénissieux) and at Centre d’art contemporain La Halle des bouchers (Vienne), Alessandro Piangiamore made good use of each of these sites’ patrimonial, historical and cultural contexts. Alessandro Piangiamore’s richly varied production is inhabited by a dualism where the tangible and intangible, mastery and the ineffable, the Divine and Nature come together and at times clash against each other. 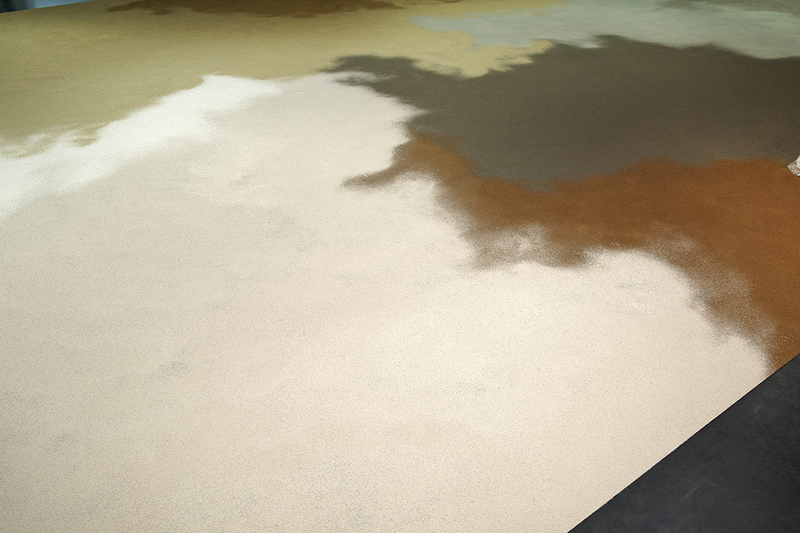 This is the case with the Tutto il vento che c’è series (started in 2008) for which the artist has arranged atop various hills small monoliths made of local mud that were dried and eroded by the wind for several weeks. In Vénissieux, Alessandro Piangiamore is presenting a set of these local winds portraits, as a witness of the constant blowing wind in the Rhône valley. Next to these delicate wind sculptures, he adds a series of engravings of landscapes stricken with elements, which have been made in partnership with Vénissieux’s engraving workshop. Pursuing his interest in the environment, natural history and the vernacular, he also made several sculptures in the form of panels, aggregating cement, volcanic powder from the Etna and flowers coming from Vénissieux. Dating from the golden age of rose growers, the Vénissiane is an endemic old rose whose petals have been used in these sculptures entitled Ieri Ikebana. 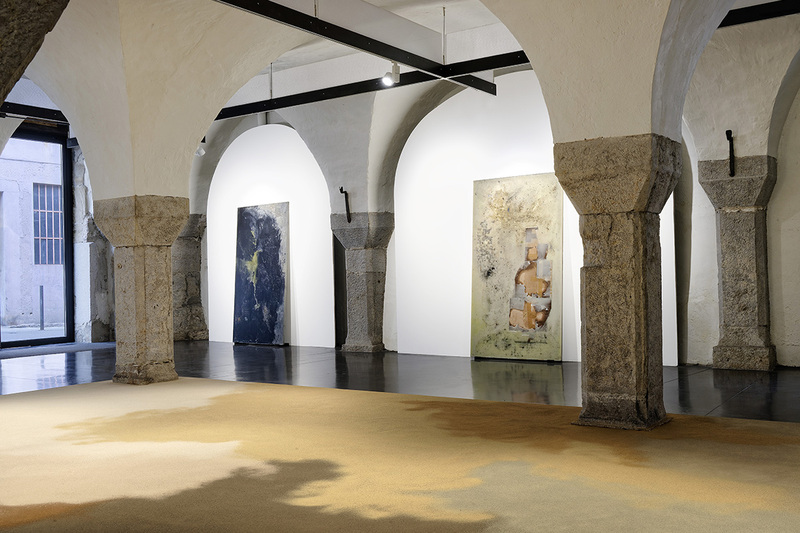 In Vienne, within the sphere of such dynamics – where the modus operandi prevails over the purely formal result per se – Alessandro Piangiamore is presenting a new step of La cera di Roma, a series he has developed since 2012: some large abstract colored works made by melting residual wax candles collected from Vienne St. Maurice’s cathedral. As they solidify upon drying, the mix of candle preserve traces of the shapes and colors formed at the time of casting, like frozen chemical precipitates. Here the process is the project. The slabs cancel the original function and primordial purpose of the candles intended to be lit for devotion, the liturgy and celebrations. 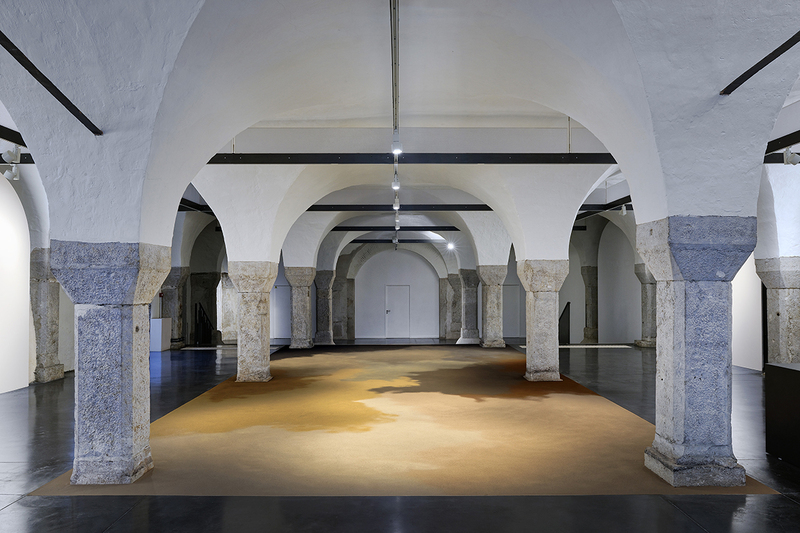 In addition, a site-specific installation (Il cacciatore di polvere [The Dust Hunter]) unfolds in the central space of La Halle des bouchers: playing with the pillars’ mineral aspect, Alessandro Piangiamore covered the floor with different sands, soils and dust he took from Sicily. 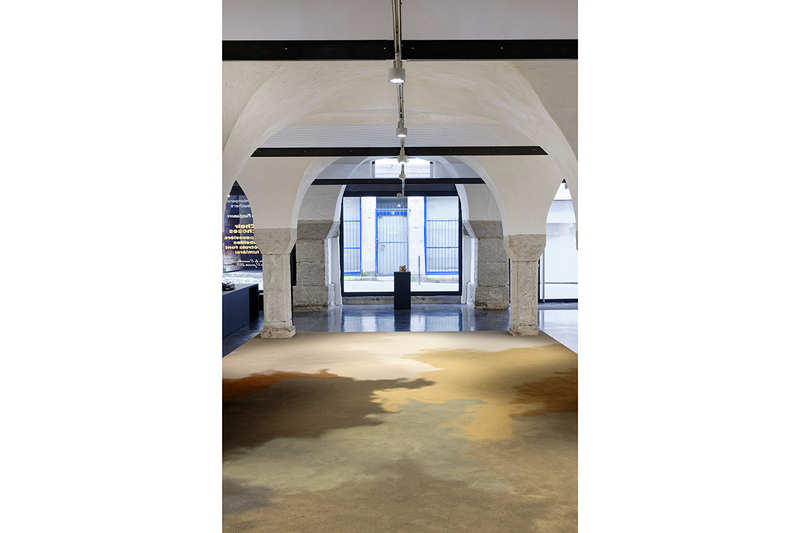 The varying colors – from black volcanic to earthy brown – thus create like a large abstract carpet, as if a moving flesh were covering the ground.